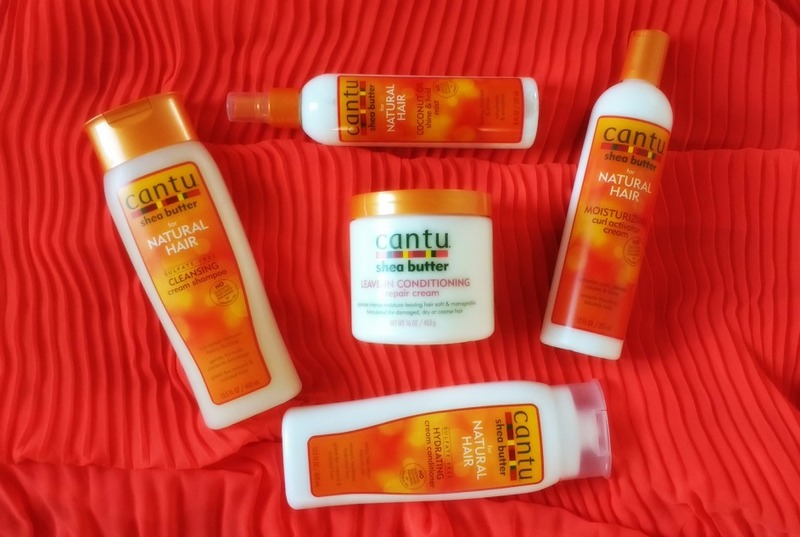 About two years ago I began hearing good things about the American haircare brand Cantu. Then I got hold of the Leave-In Conditioning Repair Conditioner at a product swap event. Oh my word, my curls loved it! It was another year before I got hold of more of it. I attended Cantu’s demonstration at Afro Hair & Beauty Live 2016. The session was quite helpful and it was good to see how the products worked on different hair textures. I’ve never had the opportunity to try more of the range until recently. 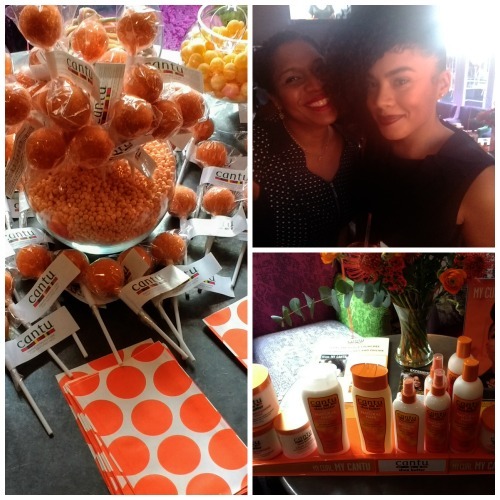 A couple weeks ago, I attended the official UK launch of Cantu. It was held at the trendy O Bar, Soho, London. Unfortunately, it was on the same day as the London Attack,so, I was unable to stay for the entire event. Although, before leaving I did have the opportunity to briefly meet Cantu’s Marketing Manager, Dametria Mustin and Brand Ambassador, Anastasia Chikezie (of Purely Natural hair salon). I also received a goodie bag with five full sized Cantu haircare products. Unless, I’m trialling a products, I’m brand lawful. I don’t often come out of my comfort zone, where my hair and skin are conditioned. I’m thrilled that Cantu’s products worked extremely well on my hair. 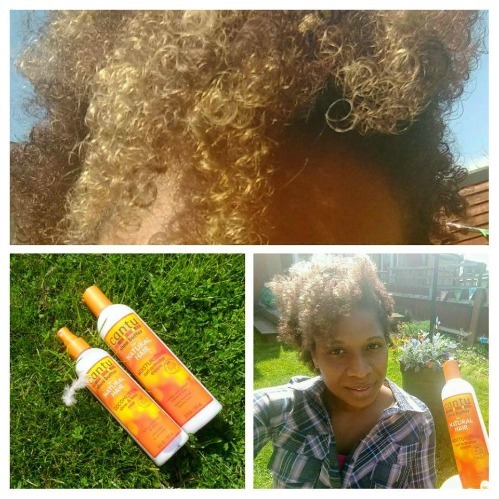 Cantu haircare is my new go to range because it works well and is easily accessible on the Great British High Street. The event was a fun festive affair. Many of the UK’s well known bloggers, vloggers and infulencers were present. I was gutted I didn’t have the opportunity to have my hair done at the style bar, I had to leave. Infulencer vloggers Fro Girl Ginny and Simba were queening with their stunning hairdoes done by the stylists at the hair. I used Cantu haircare products in varying combinations for the past fourteen days with exceptional results. The shampoo, conditioner, leave-in conditioner and curl activator cream, I’ve used on wash day. Then for my mid-week curl refresher, I used the mist followed by the leave-in or curl activator cream. The mist gave hold but not hard hold like a gel. It simply allowed the curl to maintain its shape without the frizz. Cantu’s products worked very well on their own and alongside other good quality brands. My hair is bleached and colour-treated in parts. Cantu haircare helped my curls look and feel hydrated. I couldn’t help catching glances of my hair in the mirror and feeling my cushiony soft curls. I should mention, on washdays, I styled my hair by drying it with a diffuser. I experienced shrinkage but quite frankly that was small price to pay for gorgeous well-defined springy curls. Based on the demos I’ve seen and my own experience with Cantu haircare to date, I’d say that there is something for every curl type in the range. It’s made of 100% shea butter and coconut oil infused range includes a complete regimen of Cleanse, Condition, Curl and Control product. The full haircare range includes: Sulfate-Free Cleansing Cream Shampoo (£6.99), Sulfate-Free Hydrating Care Conditioner (£6.99), Leave-In Conditioning Repair Cream (£6.99), Grow Strong Strengthening Treatment (£5.49), Moisturising Curl Activator Cream (£7.99), Coconut Curling Cream (£7.99), Coconut Oil Shine & Hold Mist (£6.99). They can be bought in store and online at Boots. You can mix and match the products to suit your own hair needs. Speaking to Cantu’s Marketing Manager, Dametria Mustin, at the launch event, she totally understood the struggle of British naturalistas to get easily accessible, good quality, affordable haircare on the Great British High. There was a time when Boots had extremely limited products for afro hair and certainly nothing for natural afro hair. I think Cantu and Boots make a good match. Have you tried any Cantu haircare products? How did it work for you? Leave a comment below. For more information on Cantu products visit their website. You can also join the conversation using hashtag #mycantu .